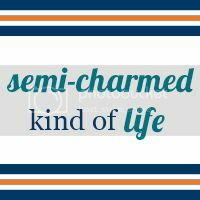 Happy International Badge Day, sorority women! Each year, the National Panhellenic Conference designates a day for all sorority women—both collegians and alumnae—to wear their sorority badge with pride. 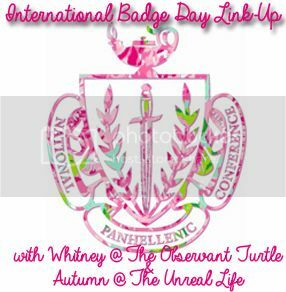 Today I'm linking up with Whitney and Autumn to share a few memories of my collegiate sorority experience in honor of this special day. Design and photos by Megan. Wallpaper by Wallope. 1. Bid Day, University of Missouri, August 2010: This was my first Bid Day as a Delta (initiated member of ADPi), which meant it was the first time I got to help welcome home new Alphas (new members in ADPi) — all 77 of them! 2. Wesleyan Female College, June 2011: I visited Wesleyan (the college where ADPi was founded) for the first time with my fellow interns at Executive Office the summer before my senior year. I have also had the privilege of visiting two more times since then! 3. Memorial Headquarters & Executive Office, June 2011: Another shot from my internship days in Atlanta. 6. Bid Day, University of Missouri, August 2009: My Bid Day! Kiki, pictured with me here, later became my Diamond Sister (ADPi's term for "big/little"). 7. ADPi Date Party, University of Missouri, fall 2011: Not only am I very close with Kiki, I am also very close to my other Diamond Sister, Liz. We lived together and everything! Liz's Diamond Sister, Jen, also joined us for this photo. 8. Leadership Seminar, June 2010: I attended the sorority's biannual leadership conference as an "emerging leader" representative for my chapter the summer after my sophomore year, where I also got to snap a picture with our then-International President, Claire Brown Gwaltney. 9. Black Diamond, University of Missouri, April 2012: Finally, though I graduated in December, I was able to make it back for my chapter's spring formal to celebrate with all the seniors. Of course, I am still actively involved in Alpha Delta Pi as a Leadership Consultant, but I wanted to focus on my college experiences in this post. I summarized the first semester of my LC experience in December, and I plan to do so again for the spring semester in May. Are you in a sorority? What are some of your favorite memories? If you are not a sorority member, I'm curious: What do you think about Greek organizations? Do you have any experience with them? I went to my sorority's leadership conference too. it was such an amazing experience! Happy badge day! Thank you for linking up! I love that graphic you made--so cute! I'm always happy to hear from someone who has such strong love for Panhellenic. Good luck with the rest of your work as a LC! 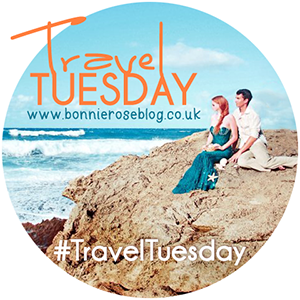 Thanks for linking up Megan! I love hearing about your experiences. I love the way you presented your pictures! How neat is it to visit your founding campus? I've been to Ohio to see ours and it's such an amazing feeling! Love these memories Megan! I was a consultant for my organization, Tri Sigma, and it was truly a wonderful experience. I hope that you're enjoying it! 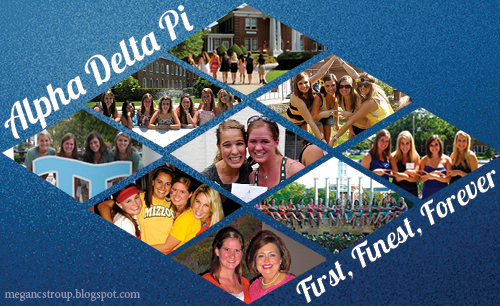 What a fun post of favorite memories from your ADPi days. I love that you got to attend the leadership seminar. I wish I had pics from my college days but I was lazy and left a bunch of stuff at my parents' when I moved out.